It's that time of year again! 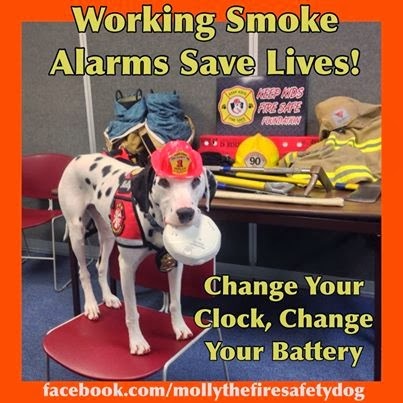 Time to change your clocks and your batteries in your smoke alarms. Remember: Working Smoke Alarms Save Lives! Please share with your friends, so that we can help keep children, pets and families safe!